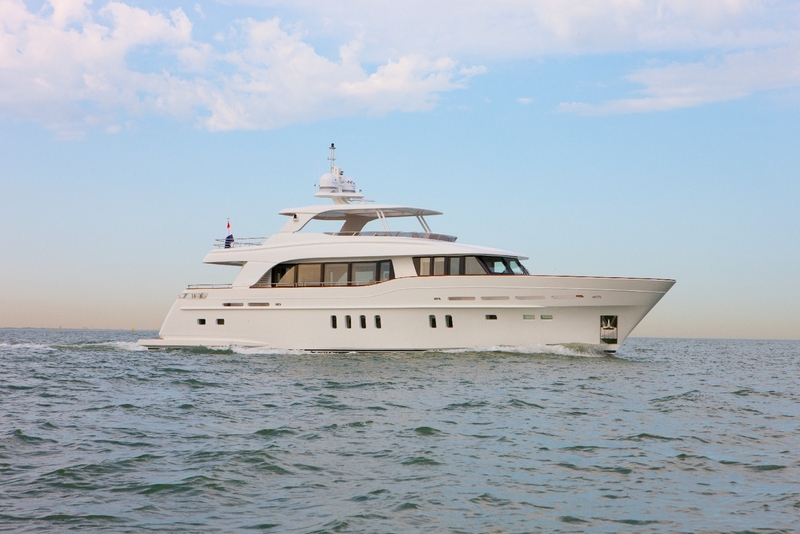 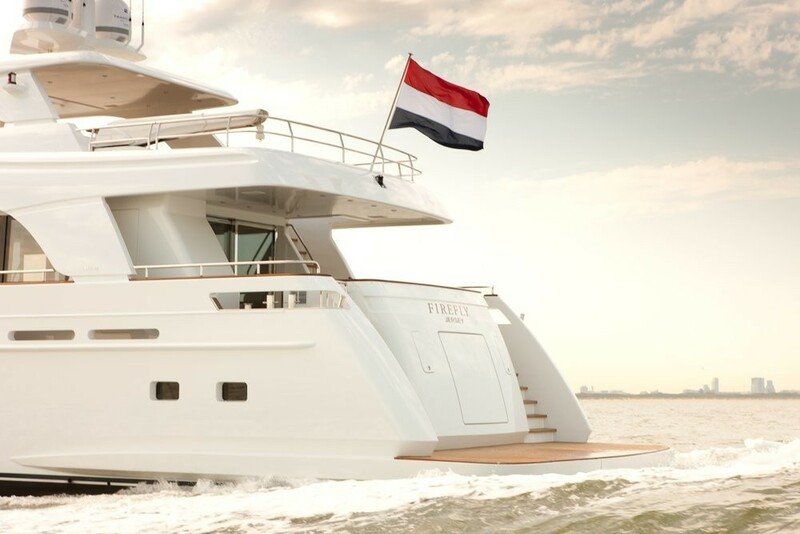 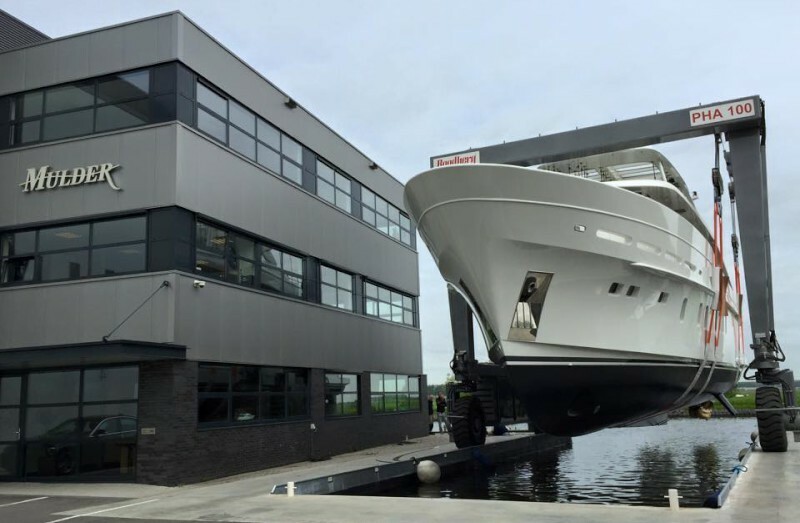 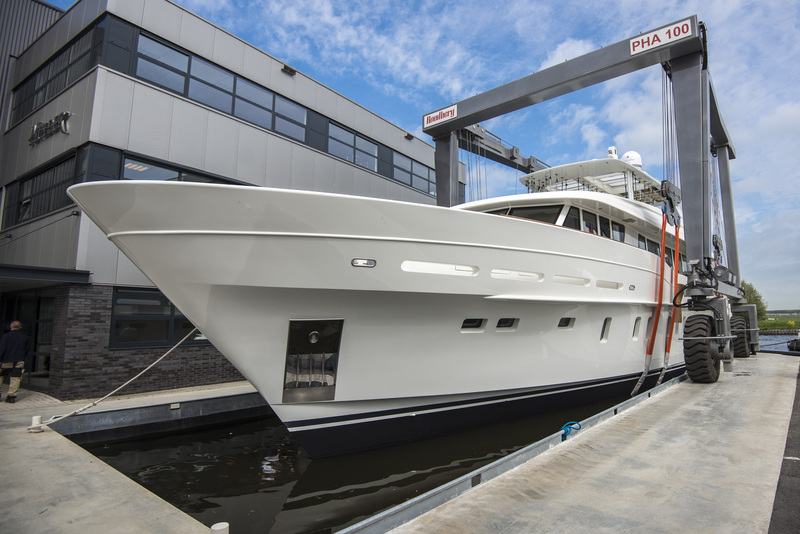 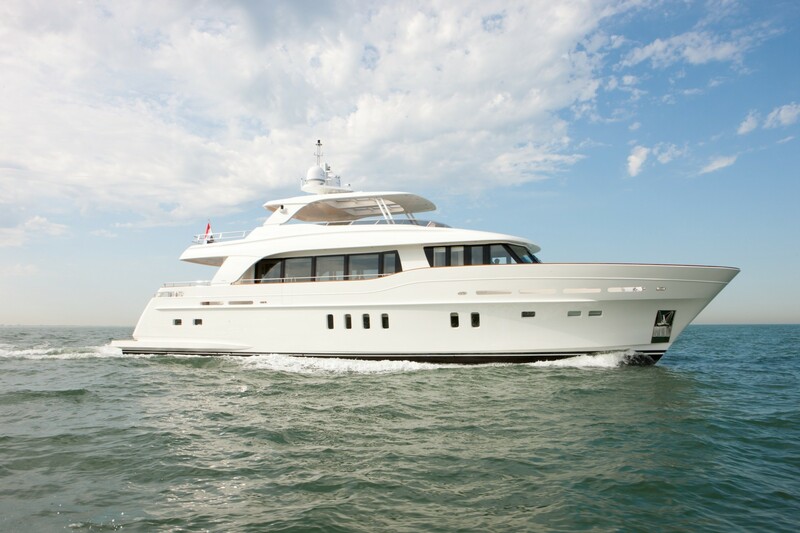 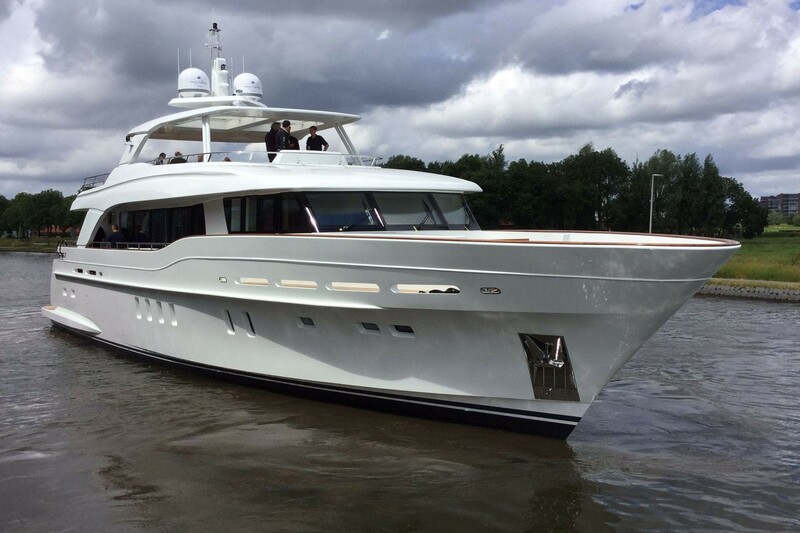 FIREFLY is a 94ft Voyager yacht launched in 2015 by the Dutch builder, Mulder Shipyard. 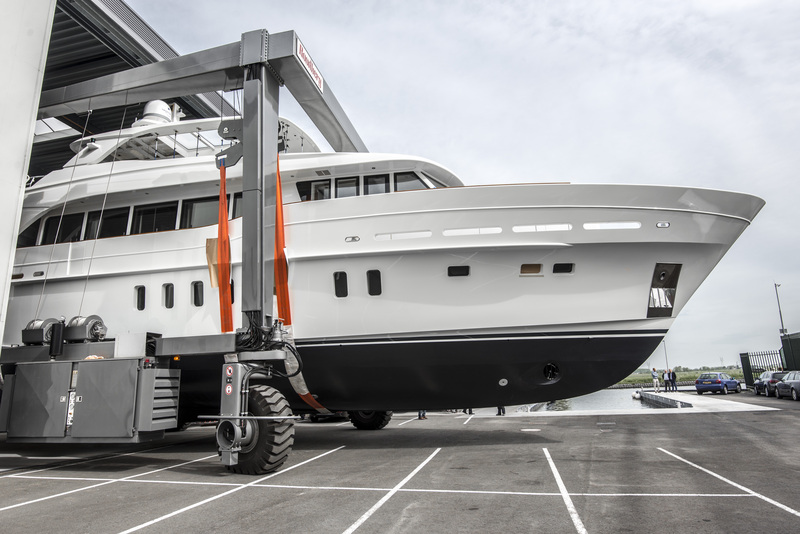 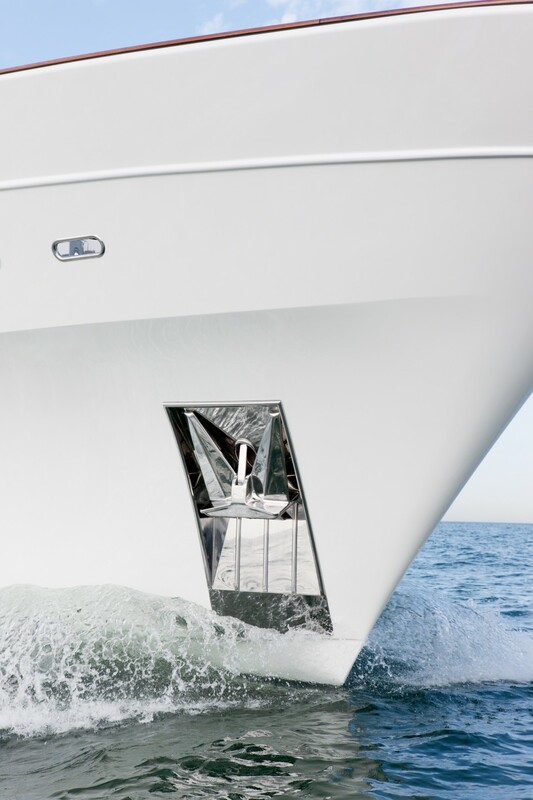 When launched, she received great interest from the yachting media and was shortlisted for The International Yacht & Aviation Awards for the "Yacht Concept up to 40 meters Award". 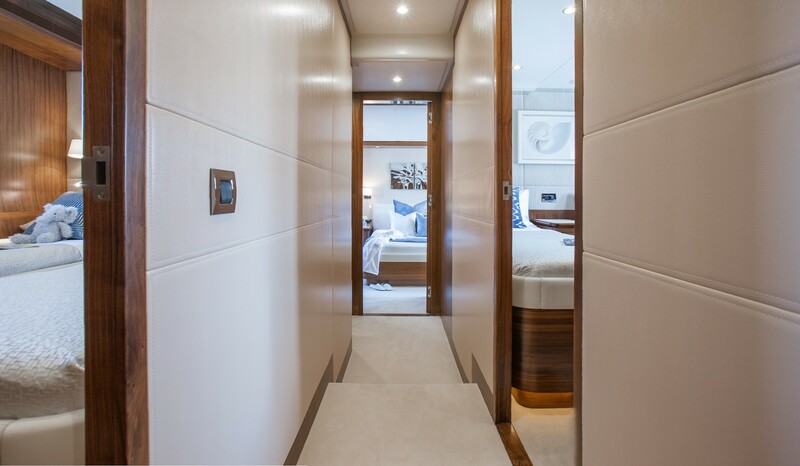 She is a custom-built luxury motor yacht offering sumptuous accommodation for up to 8 charter guests and exceptional exterior living. 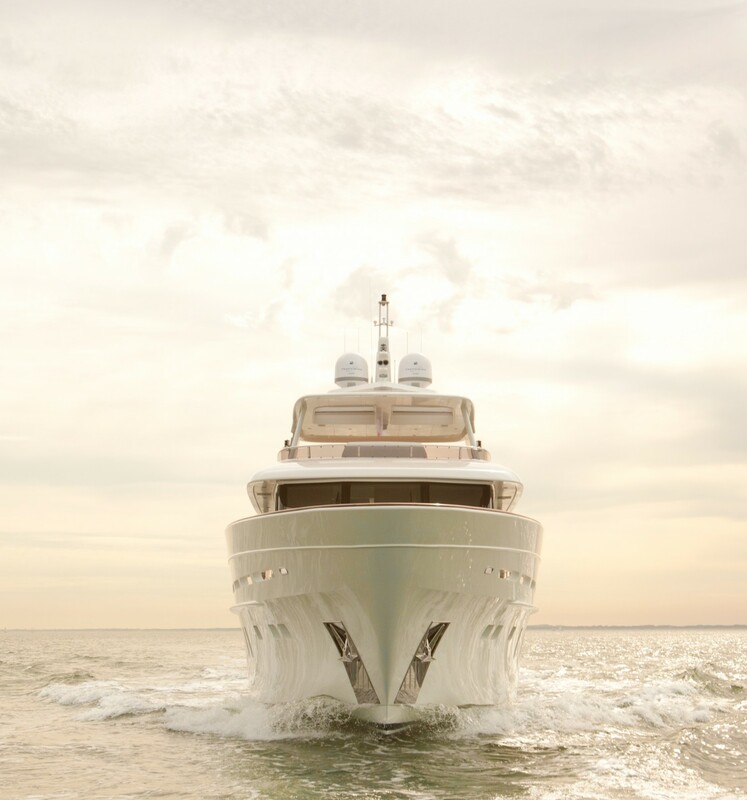 Firefly's exterior was designed by Frank Laupman from Omega Architects, while her interior design is by Vickers Studio and was inspired by the sea. 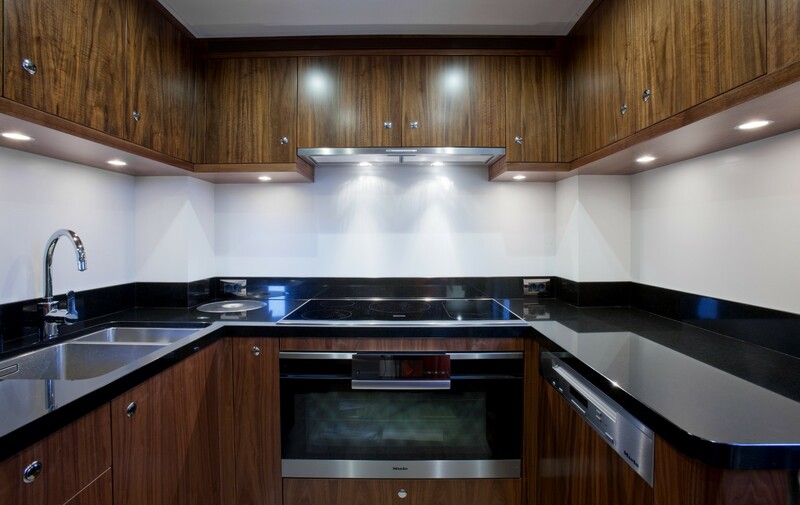 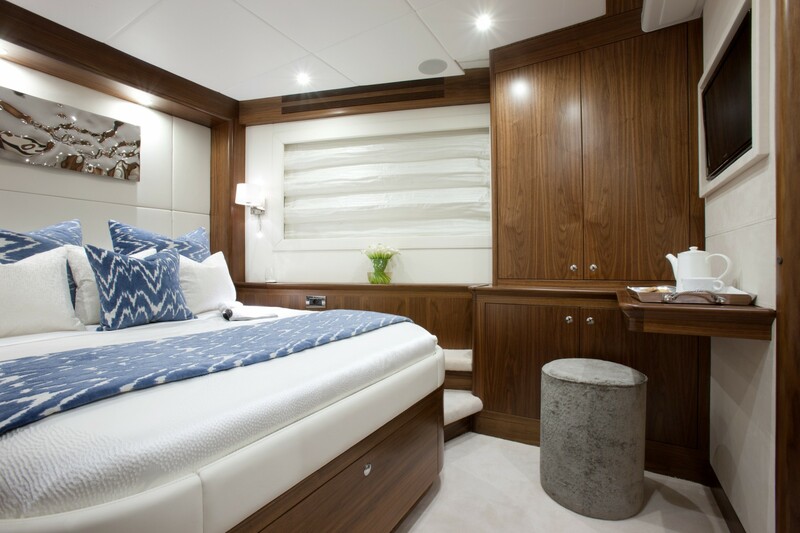 FIREFLY boasts a cool and beautiful contemporary styled interior offering impressive living space. 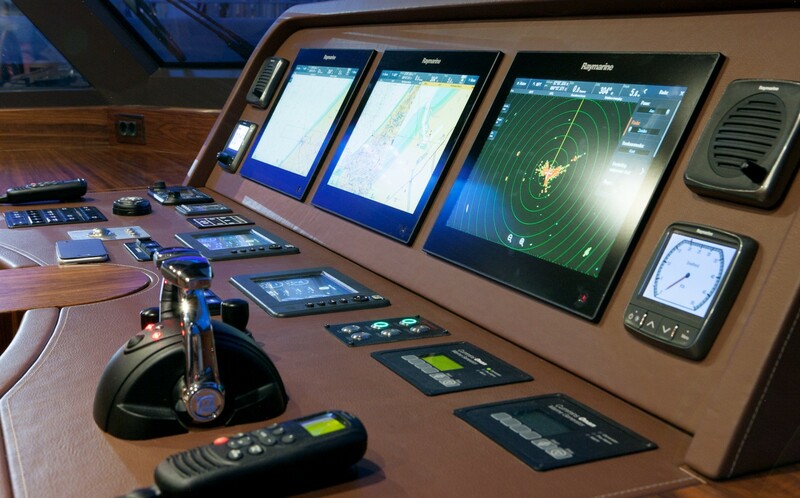 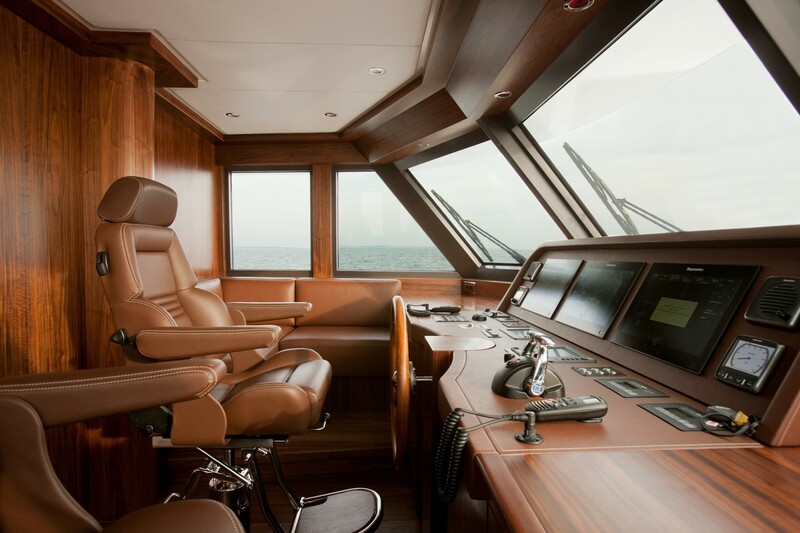 Aft of the wheelhouse, head, and galley, the main salon opens onto an inviting dining room, bar and lounge. 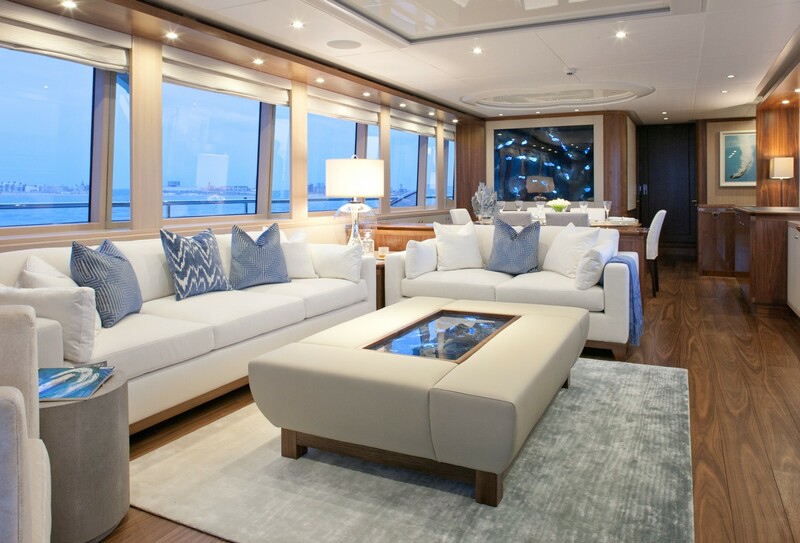 This space is accentuated by natural light through large panoramic windows, and the cool neutral colors are enhanced by satin finished American walnut and white oak floors. 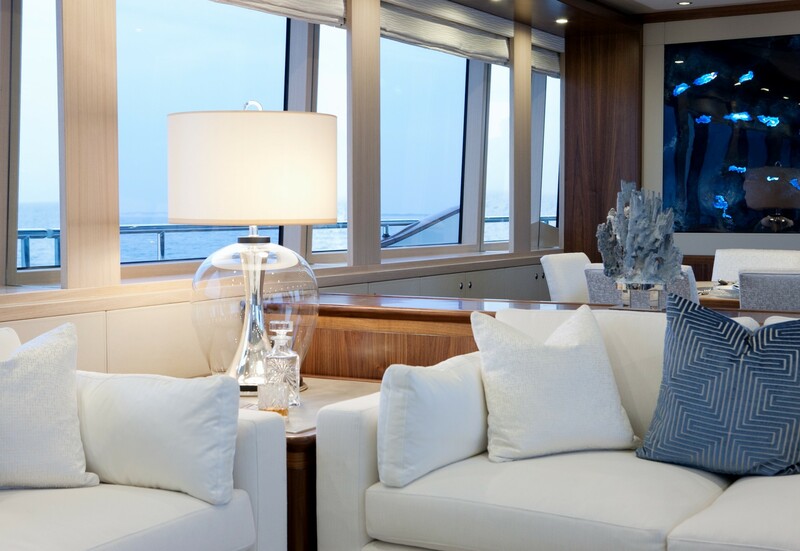 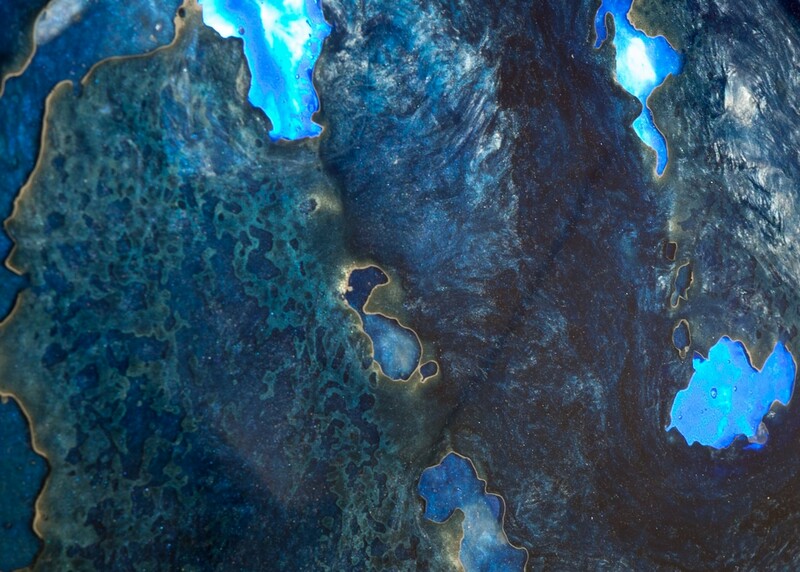 What makes FIREFLY truly beautiful is the intricate details like bespoke backlit dark blue resin art and illuminated rare coral that is viewed through the glass center of the dining table, surfaced in faux skate skin. 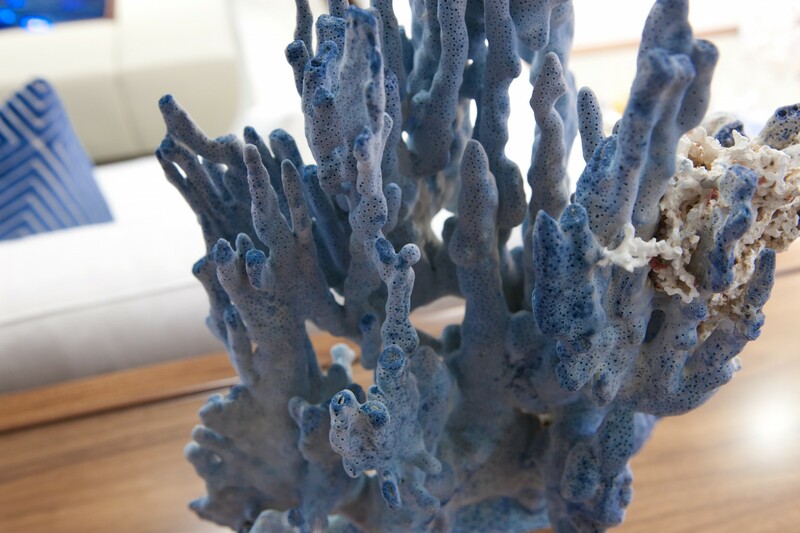 Or the ethically sourced natural blue coral that separates the saloon from the dining area. 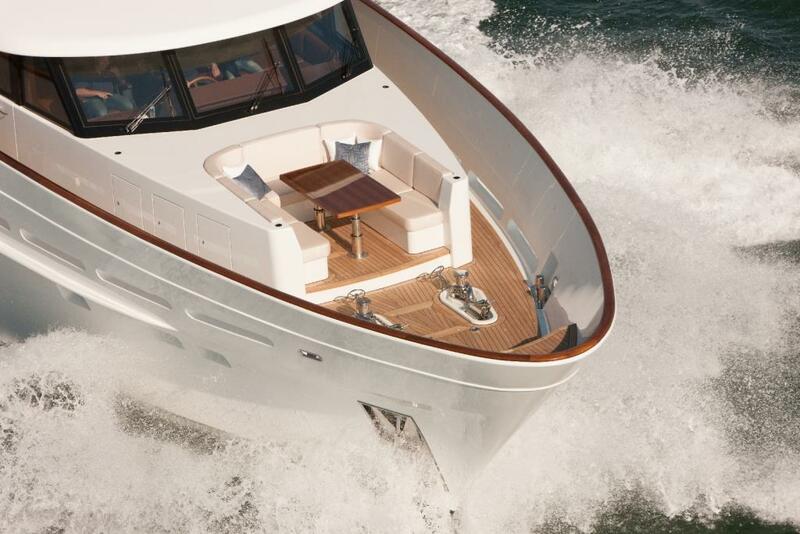 Her exterior living is well proportioned over two levels. 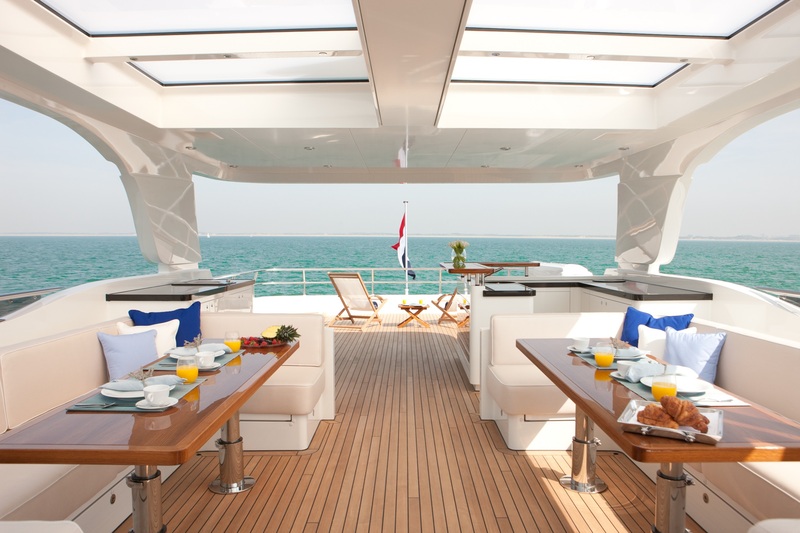 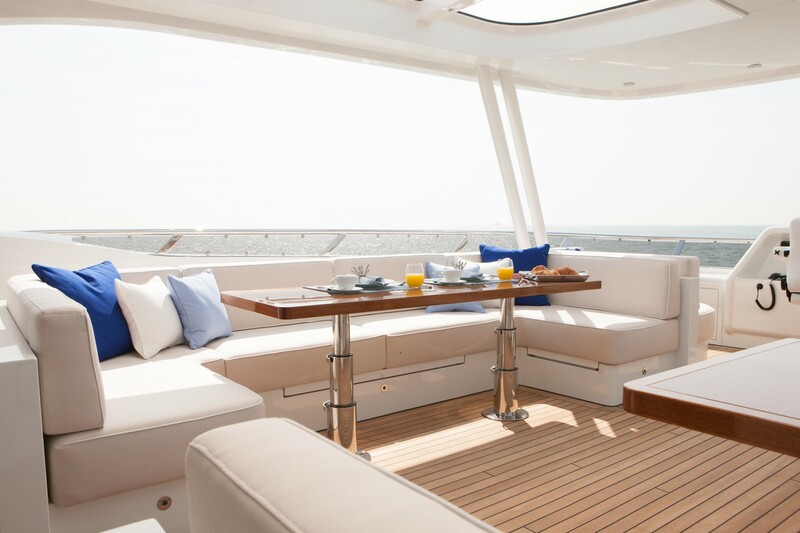 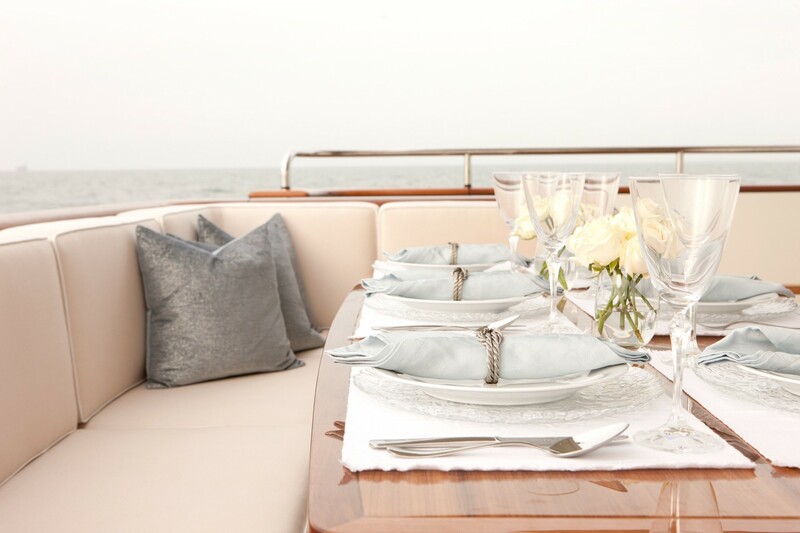 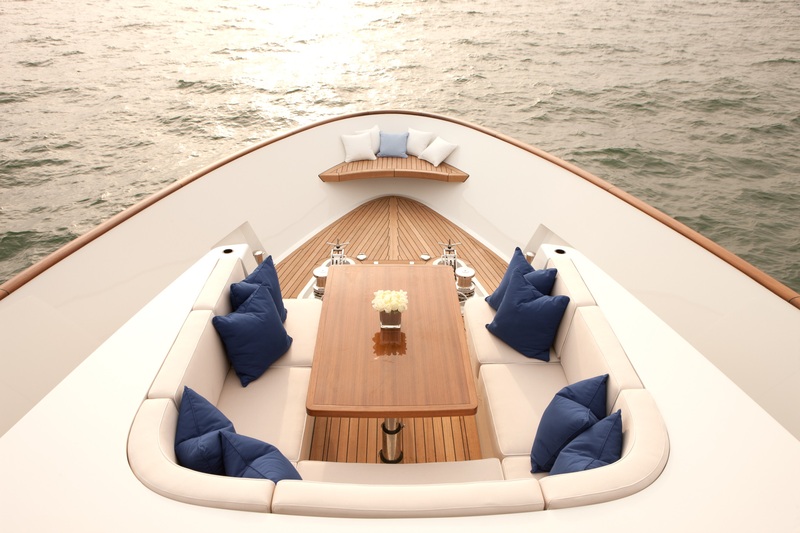 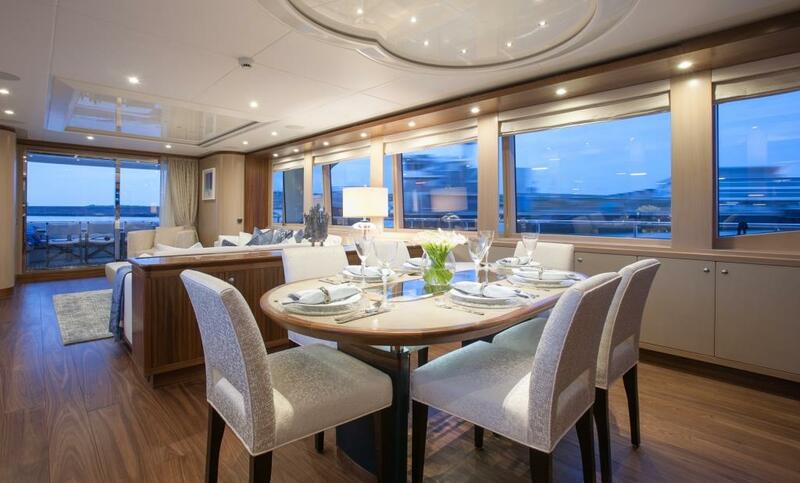 The shaded aft deck offers an alfresco dining table and large seating area. 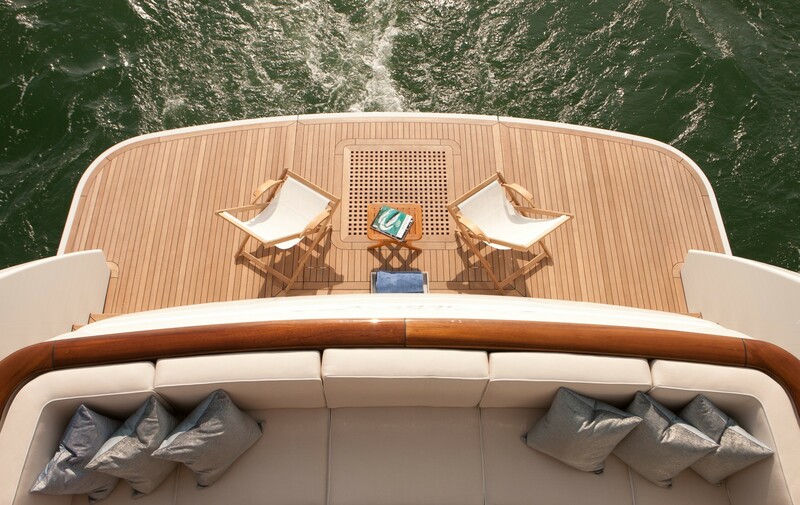 An extended swim platform is ideal for water sports and lazing on as a teak beach. 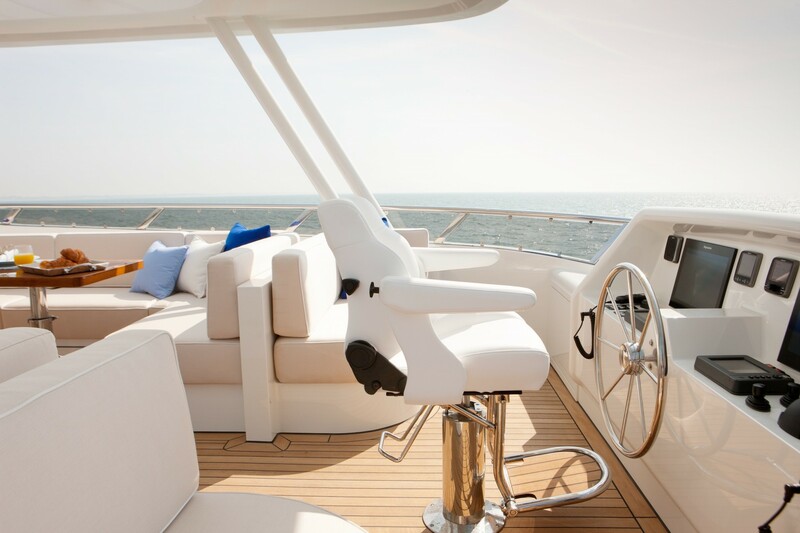 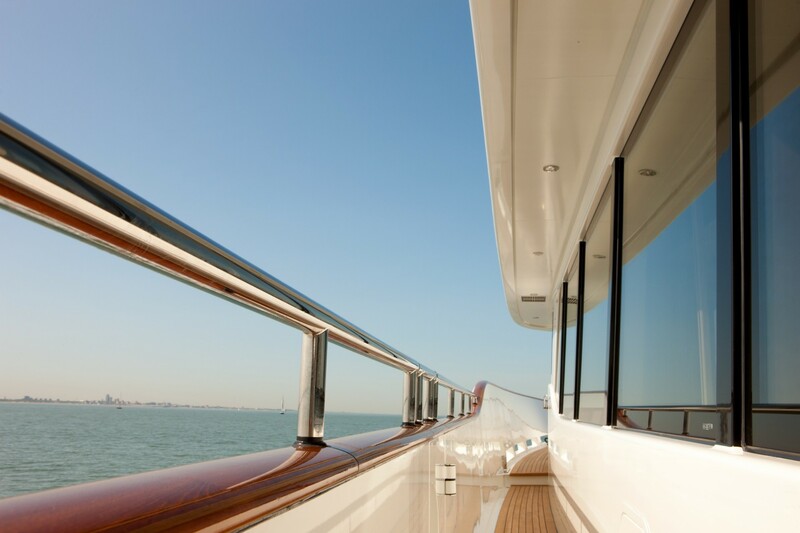 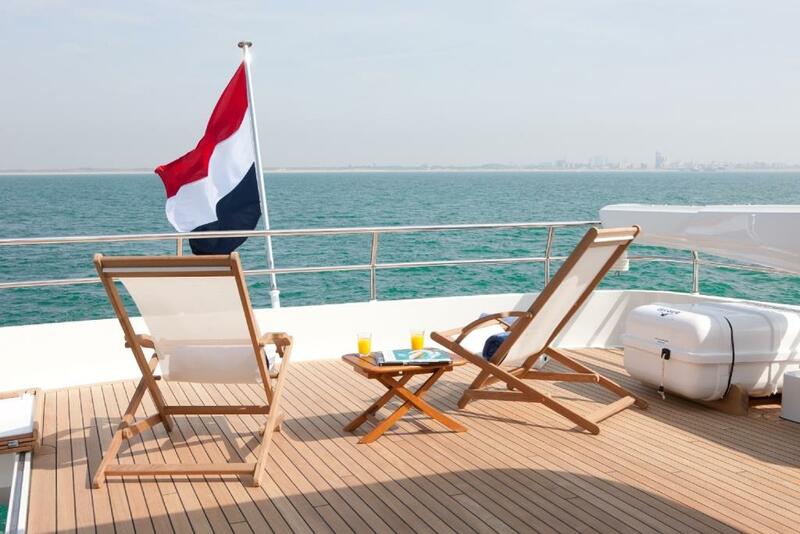 Up forward on the bow, the yacht has another lounge seating area where guests can enjoy a moments tranquility in the sun or the shade. 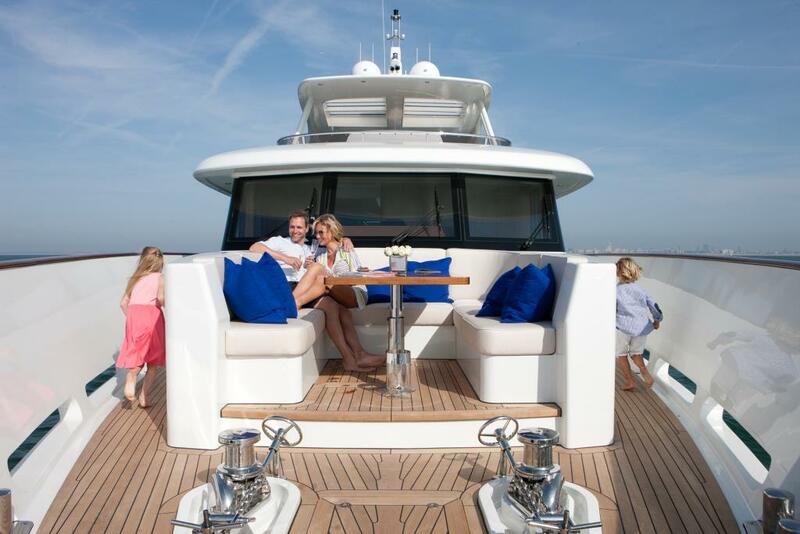 The upper deck is a large and wonderful entertainment area with plenty of space for relaxation, wining and dining. 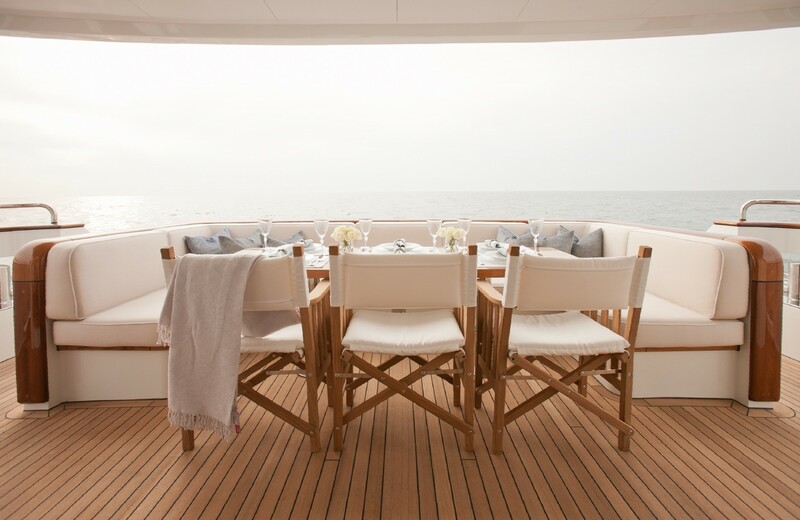 Two large tables offer ample space for alfresco dining, and the bar incorporates a BBQ. 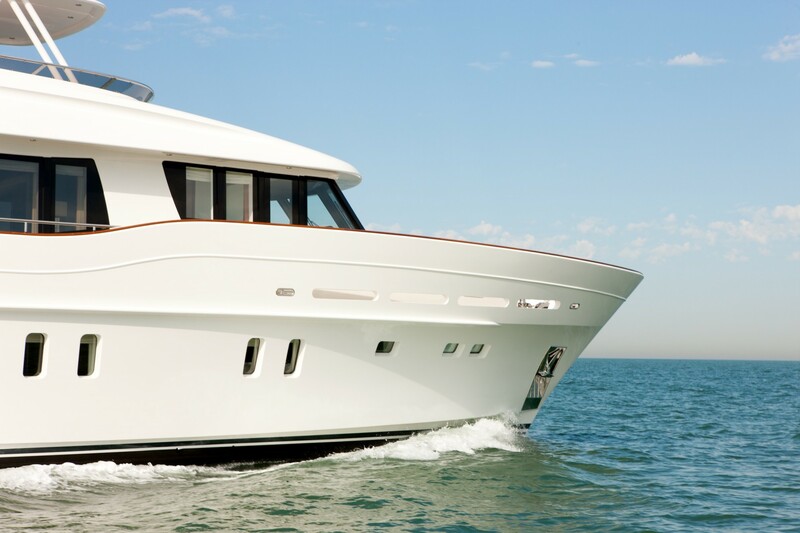 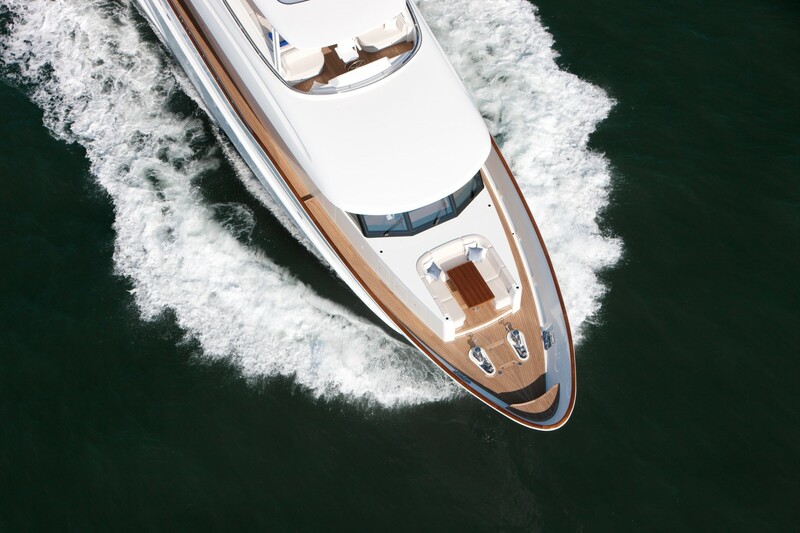 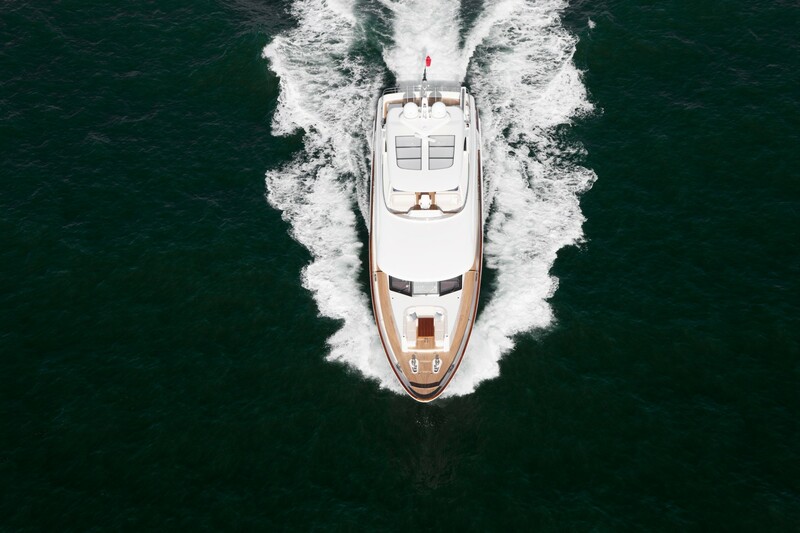 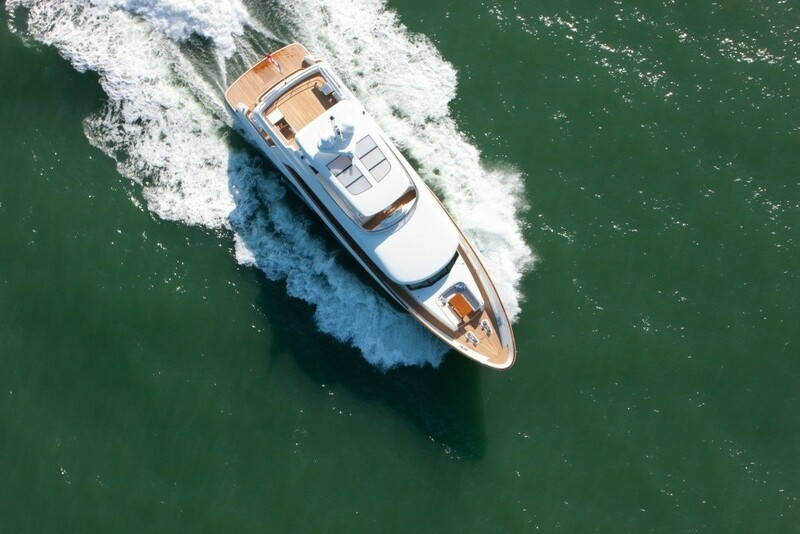 Equipped with two efficient Caterpillar C18 diesel, each delivering 1150 hp, this aluminum luxury yacht cruises at 13- 15 knots and a range of 3600 nautical miles at 9 knots. FIREFLY is fully air-conditioned, comes with a full complement of water toys, is an approved RYA water sports center, as Gym/exercise equipment, Stabilisers at anchor and underway and four professional crew to offer charter guests a fully hosted onboard experience. 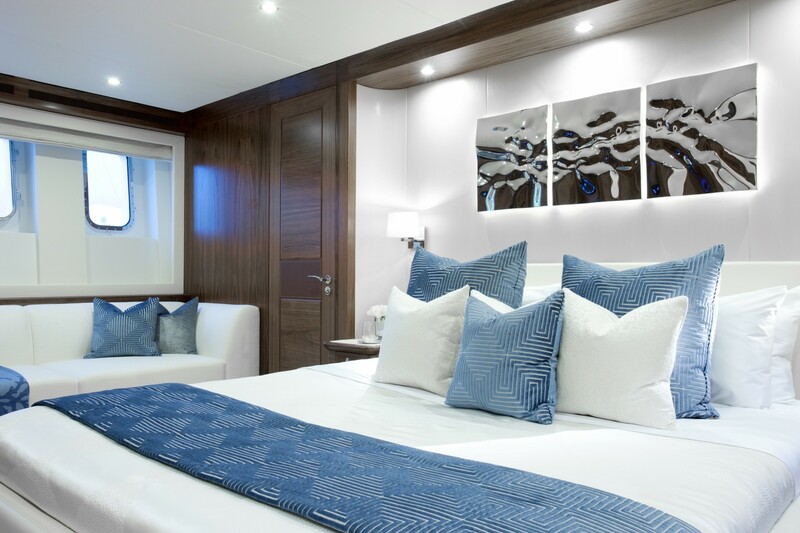 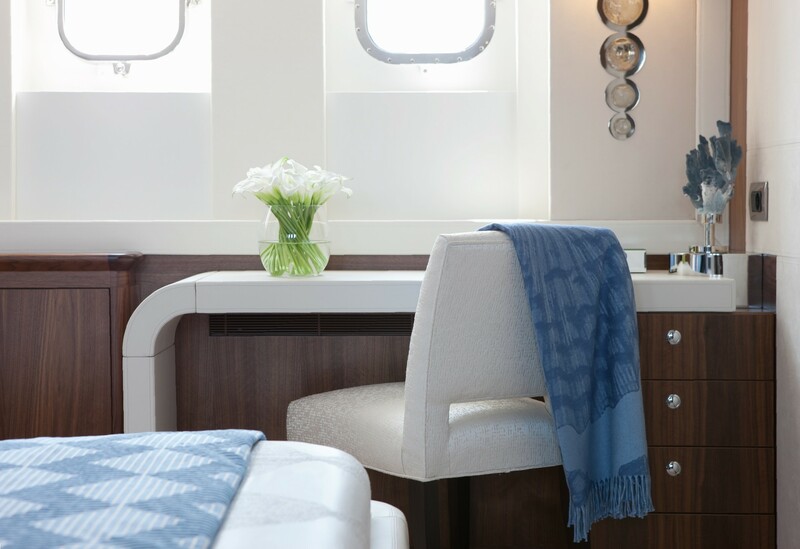 Below decks, FIREFLY boats a generous full width master stateroom of more than 24 square meters, incorporating a study, sitting area and an ensuite with bath and a walk-in robe. 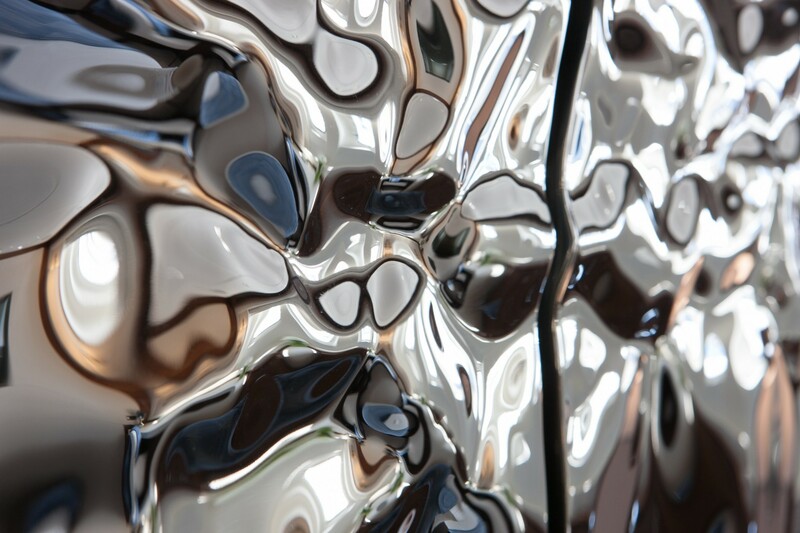 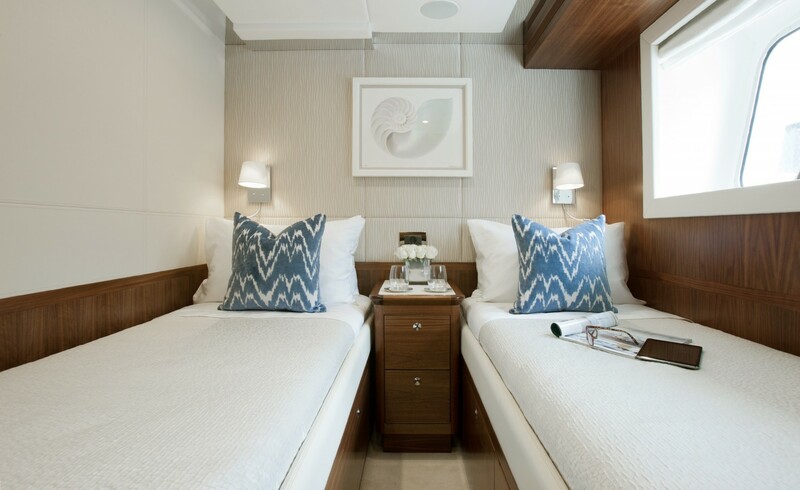 The ocean theme continues throughout the cabins with the use of soft materials and enhanced by rippling steel artwork commissioned by sculptor Rado Kirov. 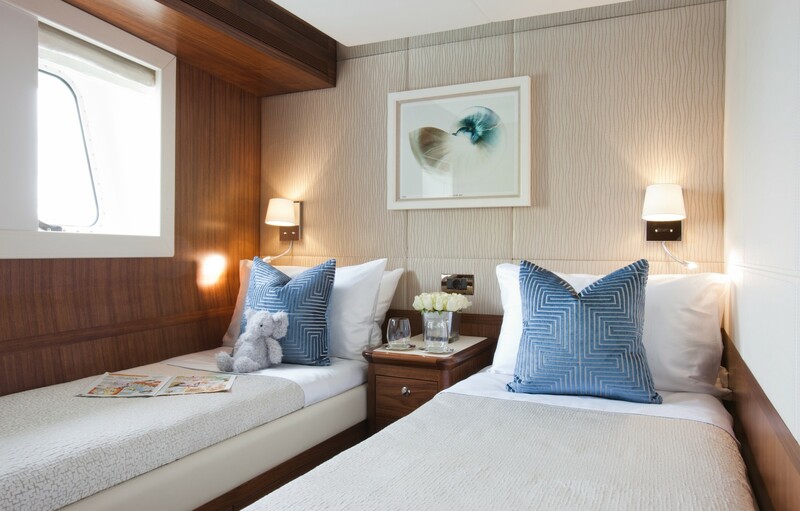 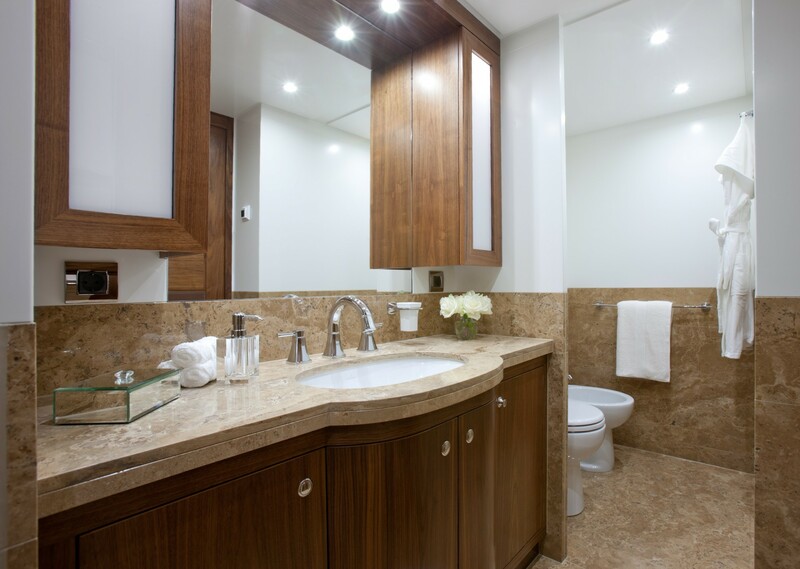 The VIP stateroom is forward on the lower deck and includes a desk and an ensuite. 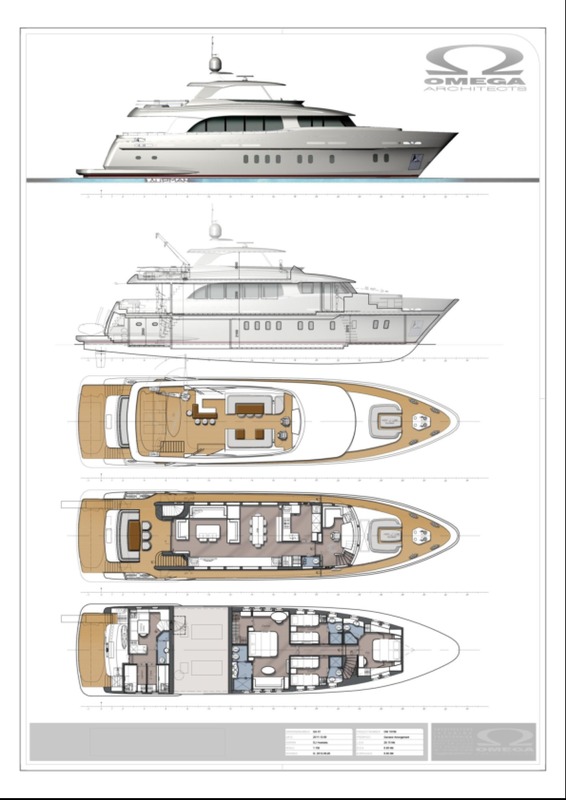 The two further cabins make FIREFLY truly adaptable as they can be configured either as twin cabins or as doubles. 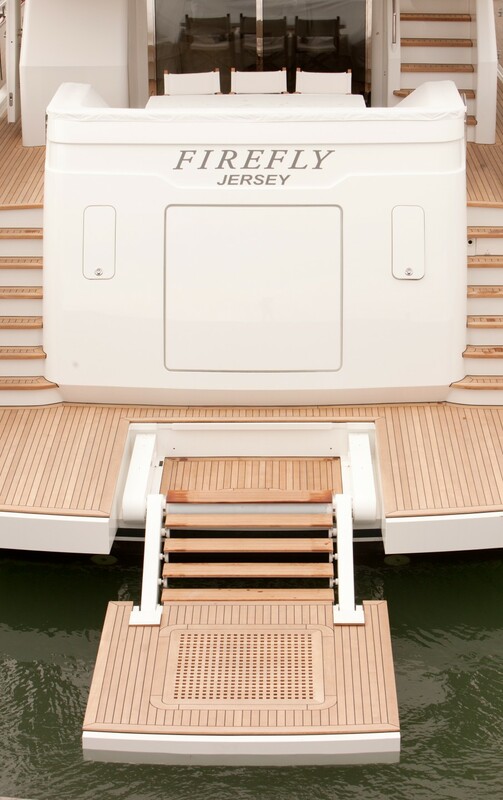 FIREFLY comes with a Tender Extender 5.2m with 60HP outboard and the following toys: 1 Seadoo 250HP jet ski (double seat), 2 Seabobs, 1 pair of waterskis, a donut and an underwater harpoon. 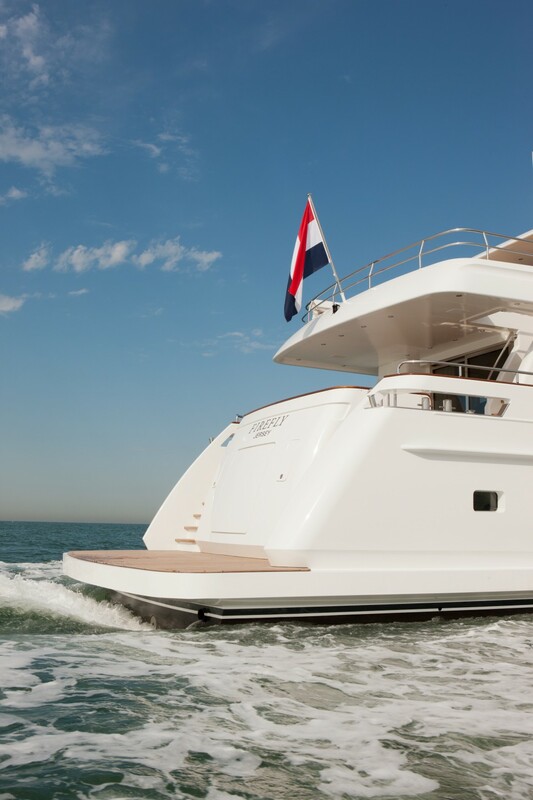 Exercise equipment consists of a New 2017 Power Plate 7 Pro.